You can study all these ICB courses via accredited home study institutions, like Skills Academy. You can find out more about the courses that Skills Academy offers on their ICB Distance Learning Courses page. Being fully accredited means that the college has applied for accreditation to the Institute of Certified Bookkeepers. After submitting a portfolio of documents to substantiate the application, each college is visited by a quality assurance manager from the ICB. At the site visit a number of things are checked, to ensure the college is properly able to offer these ICB courses. Some of the things a college must prove at a site inspection from the ICB, are their financial viability, quality study material, proper systems and processes to deliver distance learning, qualified staff, a tax clearance certificate and an OHS certificate to show that the college is safe for staff and students. After successfully passing the site inspections, these colleges received their accreditation from the ICB. That means they have an accreditation certificate for each ICB programme that they are accredited to offer. You will find those accreditation certificates available on our website. What ICB courses can I study? Home Study, Correspondence Learning and Distance Learning are all the same kind of thing. They all describe a college whose students study from home. That means the students can work in the daytime, and then study evenings and weekends. Home study is the best option for working people who has to earn an income, but at the same time need to improve their qualifications. Your study materials are crucial to your studies. So you must make sure that all the study materials you will need, are included in your course fees. You must get the correct textbook and proper study notes. No, the college will not give you pens and paper to work on! That you usually get yourself. But they should understand the importance of the correct study material. Your study notes, textbooks and assignments should all be included in your course fee. Good study material is written in an easy-to-understand way. The material is broken into bits that are small enough that you can do one section in your daily learning time. The material builds up from simple concepts, and makes sure you understand the basics, before moving on to more complicated work. Some of the older correspondence and distance learning colleges might still send your study material via the Post Office. This can delay your studies. So make sure to ask if they always courier your study materials. You will find that some correspondence colleges courier your first and second package of study material, but later on they send the rest via the Post Office. So you must ask very carefully about how ALL your study material will be sent to you. If your college delays your study material, it means you are paying, but you cannot study. Paying for time that you cannot study is not nice at all! From your side, you must understand how courier companies work. They will need an address where they can deliver. And it will have to be an address where there is always someone able to sign for the package. This is why most students prefer to have their study material couriered to their place of work. The courier company will call you before sending out your delivery. So you must be sure to give them a phone number that you will answer when they call you. It is pretty disappointing to find out they wanted to deliver, but they could not get hold of you on the phone! Are all your study materials (including textbooks) included in your course fee? Is the courier costs included in your course fees? How and when must you pay your exam fees? Usually this is not included in the course fees. What about ICB Student Membership fees? How much is this? When must you pay it? Bursaries that are cancelled when you miss a payment. Did you get a bursary? Does it get cancelled if you miss a monthly payment? Is there a yearly registration fee? Or do you only pay the registration fee once? Good distance learning study material is written especially for home study students. Because you don’t have a lecturer in front of you, the study material must “have the lecturer inside the notes”. That means that the notes “speak” to you like a lecturer. Your distance learning study material should be full of examples and exercises. So you learn a bit at a time. And you do an assignment to check if you understand the bit you just learnt. The study material we use has been developed especially for home study students. So you will find it very friendly and easy to use! When you study at home, you need to pace your learning. You must think about how much you will study every day and how much every week. Make sure you are realistic. And leave yourself time to also relax and recharge your batteries. When we send you your study materials, we usually send one subject at a time. For students who want to study faster, we send two subjects. The reason we do this is to ensure that you don’t get stuck with old study materials. Many of the ICB textbooks change every year. And if you have the old textbook, then you will have to pay extra to buy the new textbook. We help you pace your studies by helping you work out your study calendar for the year. The ICB offers five exam sessions for distance learning students in 2017. So as soon as you are finished studying a subject, you can sign up for the next available exam. In this way you can move through your studies as fast as you want. The college has a team of qualified lecturers and tutors to help you. You can phone or email your queries. But most students make use of our online study groups. Your tutors work with us because they love helping students. If you ask them, all of them will tell you about their own study experiences. They have all had to work and study at the same time. And most of them are currently busy with post-graduate studies. So you will get help from tutors who knows what it feels like to be a distance learning student! We offer online study groups for all our ICB students, through our partners at TogetherWePass. In your online study group you will find other students, as well as your tutors and lecturers. The online study groups also work on the internet browser on your phone, so you can check-in with your group when you take a break in your work day! In your online study groups you can ask questions, share your experiences and even help other students. Explaining the work you study to another student is one of the best ways to make sure your own understanding is solid. It is a great way to learn, and to make a positive contribution to the lives of your fellow students. If you need a private conversation with your lecturer or even another student, then you can select the private chat function. You will find that your lecturer and your fellow students help and motivate you every day! It is just so much easier to study when you know other students are also working to get their qualifications when you get yours. Our academic support team includes your lecturers and tutors. We also have academic administration staff who will help you with some of your more administrative needs. When you need a letter for your employer, or a statement of results, or order more study material, the academic support guys will be helping you. If you need higher level intervention with a difficult problem, you will be able to chat to the Academic Head of the college. She is friendly and helpful, and she gets stuff done! You have to plan your studies properly, so that you don’t sit with outdated study material before you have written the exam on that study material. The smart thing to do, is aim for one or two subjects in an exam session. Make sure you get only those study materials, and work to pass the exam. Remember, the study materials are updated often. So you want to know you will be able to do an exam in the next three or four month when you get the study materials for your next subject. If you suddenly find that you have time to study, and you need an extra subject, you can easily order the next subject from us. We always courier, so for most students living in the cities and big towns, you won’t wait more than a week. If you are in an outlying area, it takes a bit longer… but not weeks! Some students worry that they will not have enough time to finish their course. Don’t worry! If you need to study a bit slower, then you can get a course extension. That gives you more time to study and finish your course. We will help you plan your studies, so you can finish it bit by bit. And if you need a course extension, we shall not charge you a re-registration fee. Usually you just keep on paying your normal monthly study fee for the extra time you need. When you see that you won’t have enough time, contact the college and ask for an extension. We will gladly help you with this. When you register for a course, you must make sure you got proper advice on your studies first. You cannot make a life decision as important as this by browsing the internet and emailing some questions. You have to spend enough time talking to a qualified course expert who can advise you. We always encourage prospective students to call us and spend enough time on the phone getting good advice. Our course experts and registrars are friendly people who love helping students. They will ask you lots of questions about what you want to study and what you need your studies for. In this way they make sure that you register on a course that will give you what you need. We often get asked if students can register for an ICB course without matric. In short, Yes! The ICB courses all start at an academic level that is the same as a school Grade 10 or Standard 8. In this way the ICB makes sure their course is accessible for the many students who did not finish matric. How can I study ICB without Matric? All the ICB courses start at NQF level 3. And they go up to NQF level 6. In comparison, matric is at NQF level 4. So these courses are accessible for student who do not have matric. Students start at a level below matric. Keep studying the programme, and course by course you will climb the ladder up the NQF level 6, which is two levels higher than matric. The ICB has developed their courses to help students who did not finish school, and who has to work and study at the same time. So you start with the easy concepts and work, and build on that foundation, until you are also an expert! As a home study student you can study an hour in the evening three or four times per week. With five exam opportunities in 2017, you know that as soon as you are ready, you can register for the next exam. This is how you build up your qualifications; step by step. As you progress with the programme, you will get recognition at the different levels. After completing the first four subjects, you will already get your first qualification from FASSET, and your first ICB Programme Certificate. The ICB offers five study programmes. In this way you can get an accredited qualification whether your interest is bookkeeping or entrepreneurship. For most students who need accounting qualifications, office skills, business management courses or entrepreneurship, the ICB has a programme. 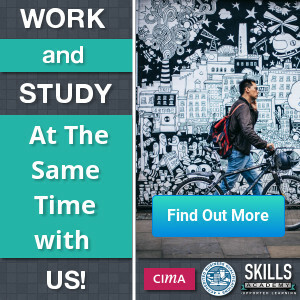 Do you not have the time to study full-time? ICB courses are set-up in a way that you can study at your own pace. There are several colleges that allow you to study ICB courses part-time. Skills Academy is one of these. As you complete each level, you will get recognition from the ICB in the form of an ICB Programme Certificate. As you complete the different courses inside the levels, you will get recognition from FASSET in the form of your formal qualification from FASSET. You can find a full over view of these courses on the ICB Distance Learning page. The ICB has a learner portal for distance learning students. Through the ICB learner portal you can access a number of self-service functions. You can also ask your college to access these functions on your behalf if you do not have internet access, or if you struggle to use the portal. You can also read the step-by-step guide to the ICB Learner Portal article on Skills Academy. ICBA Student Membership fees. These fees are usually not included in your course fees. ICB Student Registration fees. This is a yearly fee that is usually not included in your course fees. The ICB offers five exam sessions to home study students. You must make sure you understand the exam fees. And it is critically important that you register for your exam, three months before you plan to write the exam. In order to write your ICB exams, you must have completed your POE. You cannot arrive at the exam centre and expect a seat and an exam paper if you have not registered for that exam. Unisa used to offer the ICB course, but they no longer do. Unisa is the most well-known distance learning institution in South Africa, but there are many other distance learning colleges who are accredited by the ICB to offer their courses. If you want to study a degree at Unisa, and you want to use your ICB course as entry to a degree programme, you should first check with Unisa if they will allow that. Every university has its own rules and regulations. So the only way to be sure what you need to be able to get access to one of their degrees, is to contact Unisa first. You can expect Unisa to want you to have a Matric, with specific subjects – for them to consider you for a degree programme. You can also study with Skills Academy via distance learning if you live in Namibia. There are some additional costs for the extra couriering. You will find two exam centres in Namibia, so you don’t have to travel to South Africa to write your exams. As qualifications fully recognised by the South African Qualifications Authority, these qualifications should also be recognised by the Namibia Qualifications Authority. Although there is an agreement whereby SADEC countries recognised each other’s qualifications, we recommend that you check the status of a qualification before you register. Read more on ICB here and the ICB prospectus here.